Here's a little something to add a bit of bang to your builds! 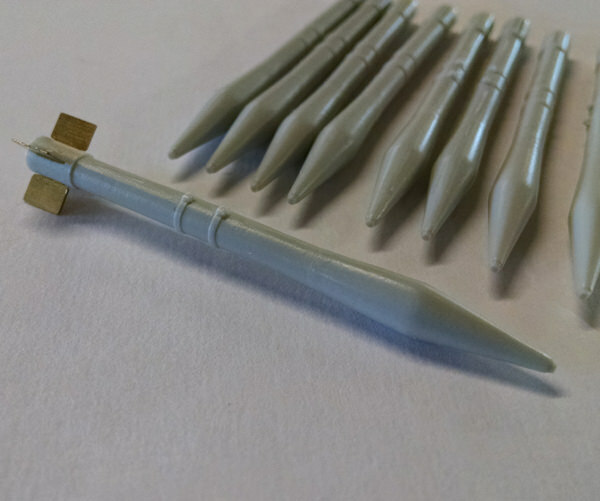 RAM rockets were based on the 5" HVAR with a special warhead designed for hard targets:Tanks, bridges and other things that needed a bit of extra boom. 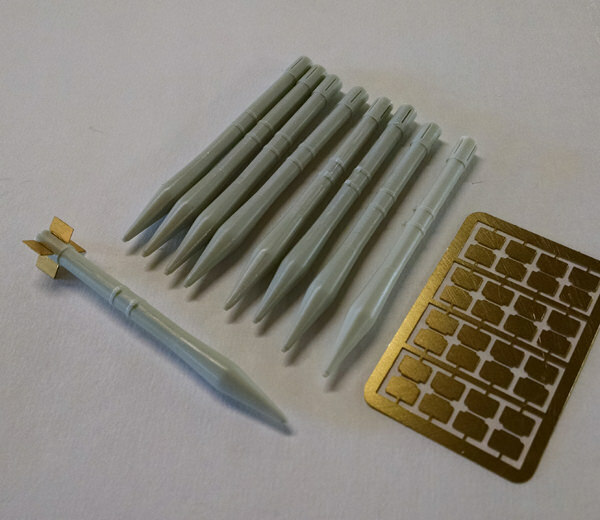 These can be hung on Corsairs, Hellcats, Mustangs, Avengers, Panthers, Skyraiders and probably others.Eight rockets in the set, with detailed exhausts and photo etched fins. Now that is neat! When did these come into use? Would they be correct for a WW2 F4U-1D?... or a Vietnam A-1? And I'm hoping this release is a sign of other ordnance to come. 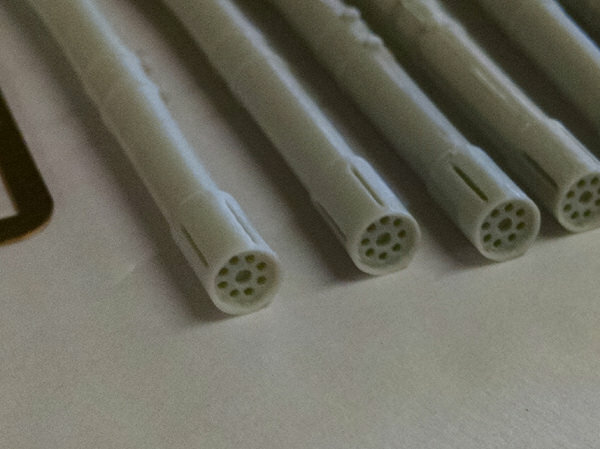 Maybe even some Y- missile rails for the F-8 Crusader? These were developed in 1950 for the Korean War, weren't used in WW-2.And yes..more things that go bang and pylons are coming. Thanks for that info. And thanks for the info on coming attractions! 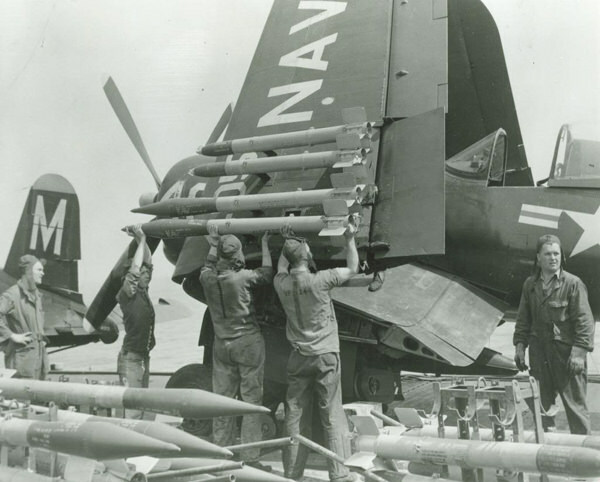 What I find interesting is that in the photo posted by Paul, the Corsair is being loaded with a mixed load of standard HVAR's as well as these RAM rockets. Oh yeah, very nice! I'm glad to see some Korean War stuff coming out! Now how about an AU-1 conversion to hang them on? What all would that entail? Yup, pretty much an entirely new plane. And when you take into account the problems with the Trumpy F4u-4, it would be best to have an entirely new plane. The Korean-era Skyraider would probably be my choice to hang them off of, and maybe some for a F4u-4. The RAM rocket was used against tanks such as the T-34's. The standard 5inch against anything that was not hardened. Now if someone would do something as accurate and beautiful in 1/48 scale.